Are you a history enthusiast? Or just looking for a day trip from Bangkok to a place that is not as crowded as Ayutthaya? Then you won’t find a better choice than Kanchanaburi. 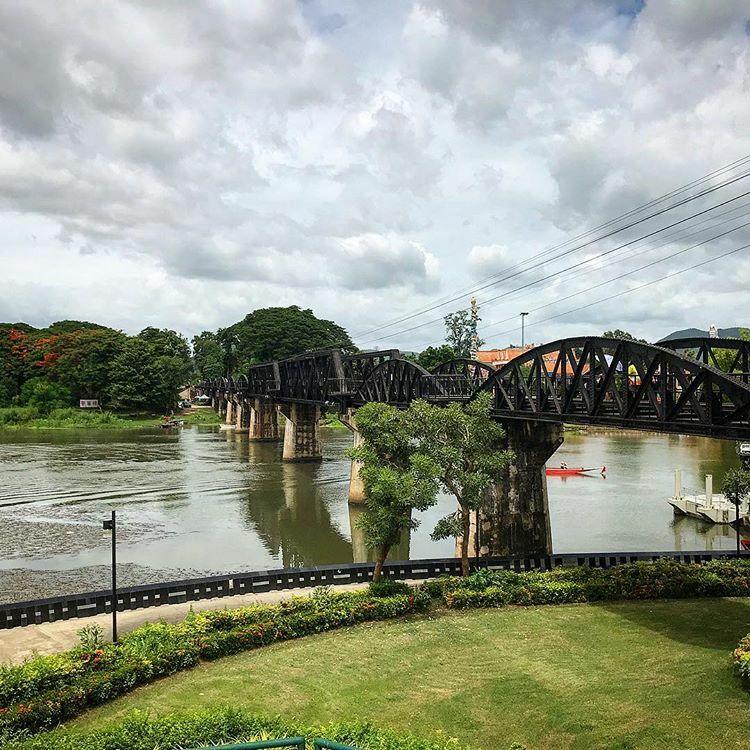 Featuring a famous railway bridge over the Kwai Yai River; a part of the Burma railway, notorious for its haunting look and bloody history. The Burma Railway has been given many names, such as the Death Railway, The Thailand-Burma Railway, and the Burma-Siam Railway. 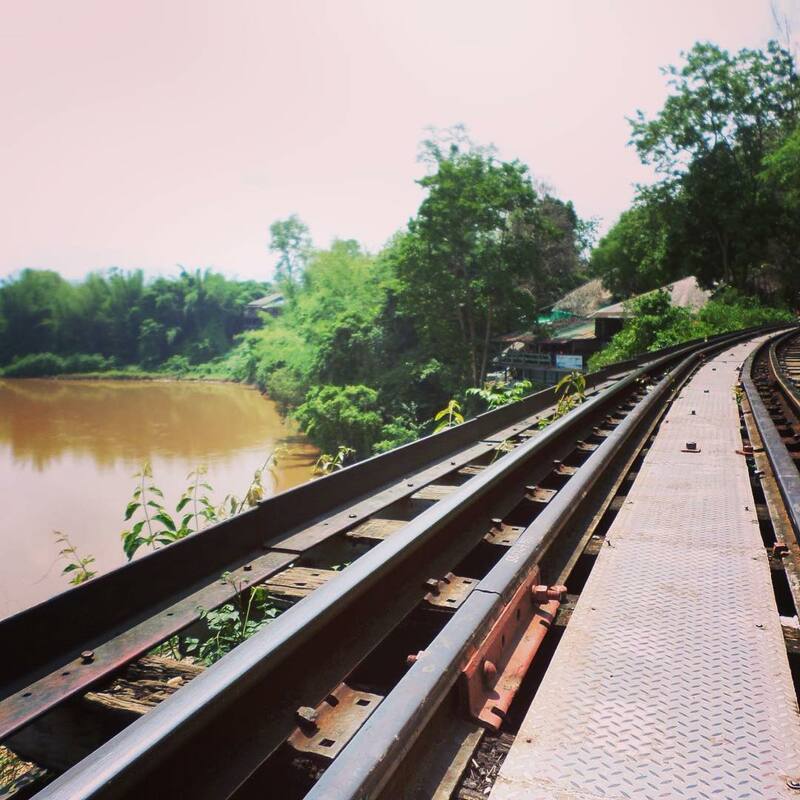 The railway is 415km (258 miles) long and connects Ban Pong (Thailand) and Thanbyuzayat (Burma/Myanmar). Built-in 1943 by the Empire of Japan to aid its troops in the Burmese Campaign of World War II. Closed in 1947, it later reopened as the Nong Pla Duk – Nam Tok section in 1957, 10 years later. Around 180,000 to 250,000 Southeast Asian civilian workers and approximately 61,000 war prisoners were forced to work on the railway’s construction. Throughout its construction, about 90,000 civilian workers and 12,000 war prisoners died. Most workers died from exhaustion, malnutrition, or infection. The extreme heat combined with the lack of hygiene and inadequate medical supply didn’t help either. About 80% of deaths were workers from Burma, Malaysia, and Tamil, while the other 20% were Americans, Dutch, Australian, British, or Indian. 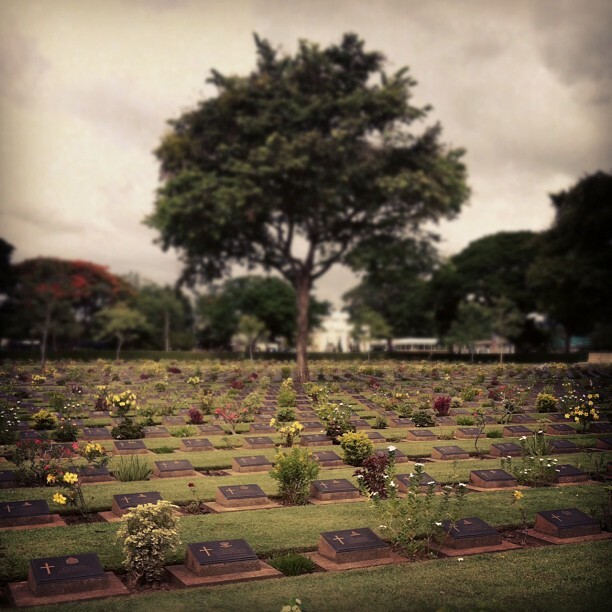 All these deaths lead to the construction of Kanchanaburi War Cemetery to commemorate the worker’s deaths. With so much blood and sweat spilled to build this railway, the name Death Railway seemed like a perfect fit. Interesting fact, originally, the bridge didn’t cross the river Kwai but rather, the Mae Klong. Novelist Pierre Boulle mixed up the river’s name in his novel ‘The Bridge Over the River Kwai’. So rather than making a fuss about the mistake, Thailand’s government instead changed the river’s name to Khwae Yai River/Kwai River in 1960. The railway trip doesn’t just include visiting the bridge, but also lots of other places. With numerous stops on the trip, the tour will show you the charming and lovely sceneries of Thailand. Here are some destinations that you should visit to make sure that your trip is complete. And it’s always best to have a tour guide or go on a tour that goes to all the destinations. 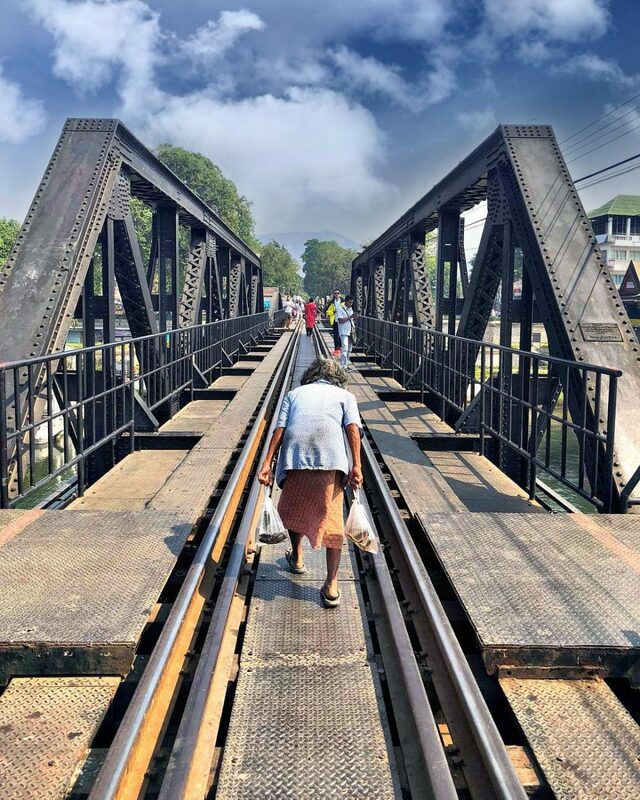 The main attraction of the trip is the 300 meter-long bridge and the part of the Burma Railway that stands as a reminder of a dark part in Thailand’s history. Its center was destroyed during an Allies’ bombing in 1945, and the only original part that survived was the arched spans. Through multiple repairs, you can now roam freely on the bridge, but remember to stand in the safe zones whenever a train appears. These safe zones are rather small, so quickly find a place before anything unfortunate happens. If you’ve built up an appetite walking around or if you just need some souvenirs to show or give to your friends, there’s always peddlers standing around and ready to make a sale. Keep in mind that the bridge can become quite crowded later in the day, so go early or really late in the day to avoid all the noise and heat. Or maybe you don’t care that much about the crowd or the noise, so just go whenever you feel like. Across the river, you can see a Chinese temple, feel free to visit it if you want to. According to many tourists, viewing the bridge from the temple’s tranquil garden is quite a pleasant experience. There is also an informative light and sound show, accompanied by a firework display and food fair, which tells the bloody history of the Burma Railway. It takes place during the last weekend of November and the first weekend of October. So if you’re into this kind of entertainment, remember to mark it down on your calendar and plan your Thailand trip carefully. 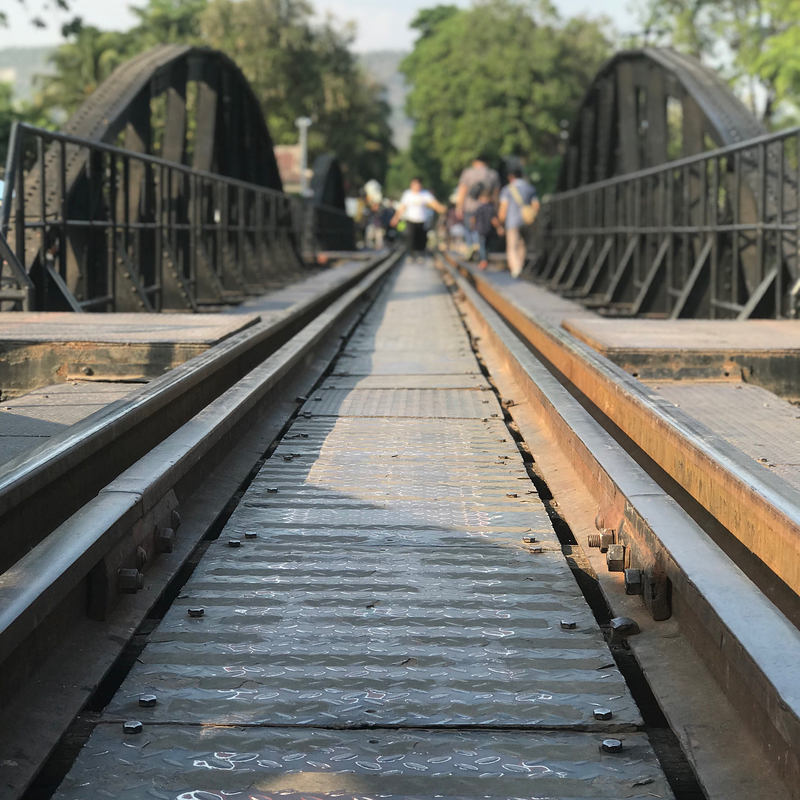 Usually, the first stop of many tours of the Death Railway, the Kanchanaburi War Cemetery (locally known as the Don-Rak War Cemetery) is the resting place for all the workers who died during the construction of the Death Railway bridge. Over 5000 British and Australia soldiers, in addition to around 1800 Dutch soldiers are also buried and commemorated in the cemetery. There are also two graves which contain the ashes of 300 men. It’s a great place for you to find out more about the history and story of all the soldiers who were forced to work on the building of the Death Railway bridge. It’s very heartwarming to see that the soldiers’ family members still often come and visit their loved ones, evidenced by numerous family pictures put on the tombstones. The cemetery’s garden is always well tended and it’s near the Thailand-Burma Railway Centre as well, so it’s always worth the stop. 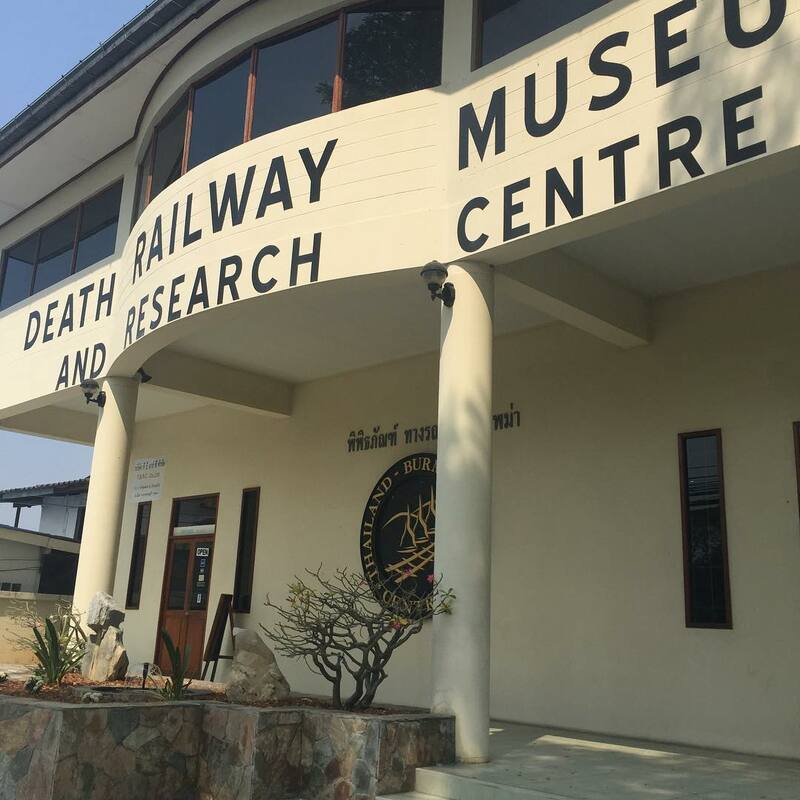 Beside the cemetery is the Thailand-Burma Railway Centre: an interactive museum, information, and research facility dedicated to presenting the history of the Thailand-Burma Railway. The museum is well-run and does an outstanding job presenting the history of the railway. Through hundreds of pictures, displays of relics, and models the story of the Death Railway was vividly told to all visitors, conveying the struggle and the suffering of the workers. The museum asks you to not take any photographs while you’re inside, so please respect their policy. It’s open from 9 am to 5 pm every day except on some Thai holidays. The ticket cost is 120 baht (US$ 3.9) for adults and 80 baht (US$ 2.5) for children. 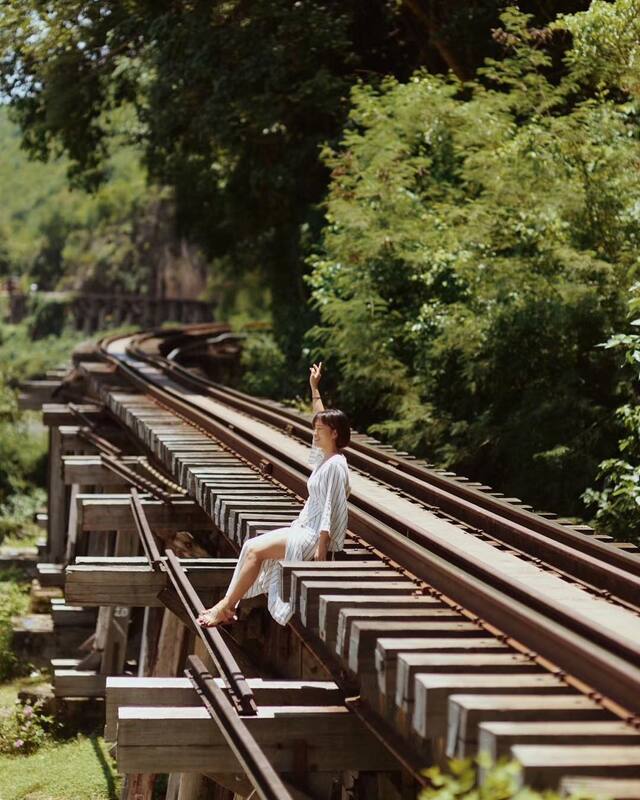 Wampo viaduct a.k.a Tham Krasae Bridge is the abandoned part of the Death Railway. 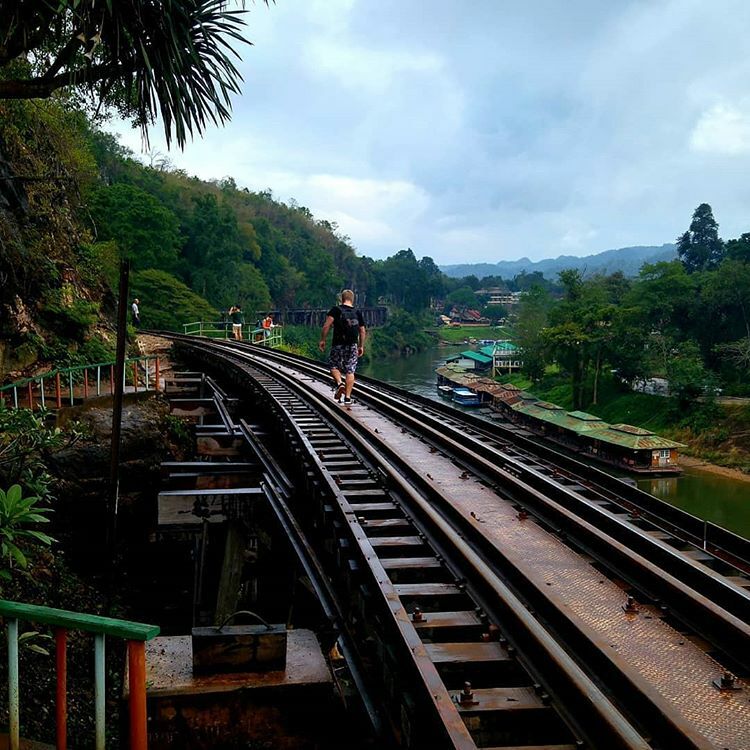 Tourists often go to Kanchanaburi to visit the Bridge on The River Kwai or Hellfire Pass but most usually don’t take the time to walk this marvelous path, which connects Tham Krasae Stations and the Tham Krasae Bridge Stations. You can choose to walk this path if you want to feel the same thing that the workers went through during the bridge’s construction. Most of the railway’s wooden bridges have disappeared, except for the Wampo viaduct. The path hugs the cliff along the Kwai Noi, you can see the charming sceneries and explore the place. If you’re scared of heights then this path is probably not for you. There are no handrails, guardrails and lots of place you can trip. So always be careful when you’re walking the path. When you’re walking the Wampo viaduct remember to stop by Krasae Cave. Just a bit north of the Wampo viaduct, Krasae cave was built by the workers of the railway. People said that this part was one of the most difficult parts and also the most dangerous parts to build. The cave is open for all to come and commemorate all the workers who died. 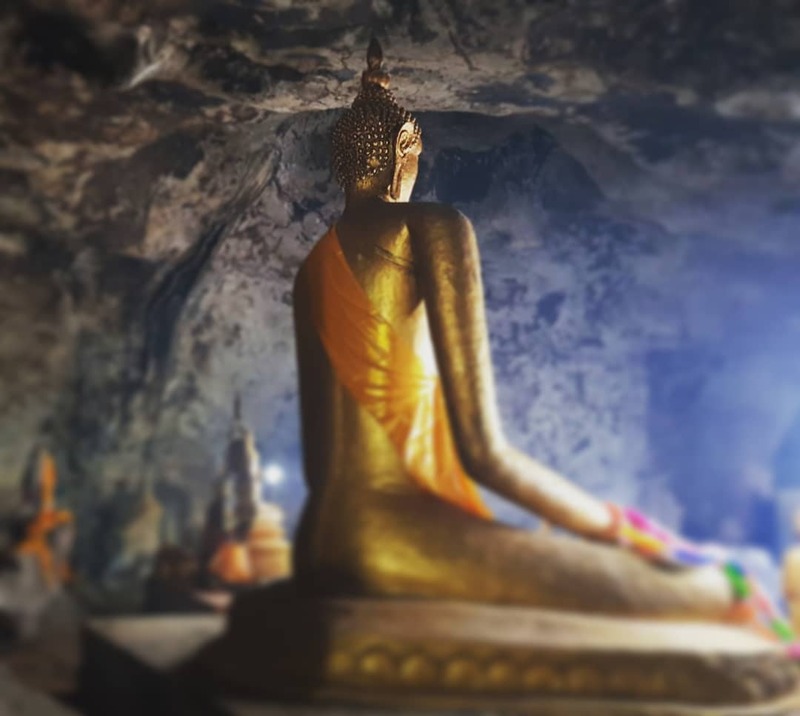 Inside the cave is a large golden statue of Buddha, which the locals have worshiped for years. If you’re traveling in the summer, remember to always carry on you a tube of sunscreen and a bottle of water. The heat in Thailand is not to be trifled with, it can easily get above 100 degrees Fahrenheit. And as mentioned above, it’s always easier if you’re traveling with a local tour guide or going on a tour that covers these destinations. With local English speaking tour guides, transport, entrance fees, and lunch are covered in the cost of the Inspitrip tour and guaranteed to give you an unforgettable experience.